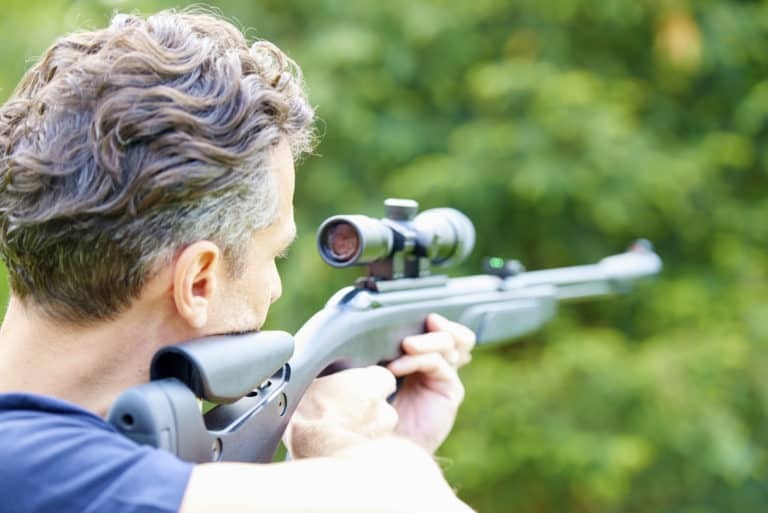 Having a quality scope on your air rifle is vital as it ensures you’ll accurately hit your target. Finding that perfect scope is a challenge though. 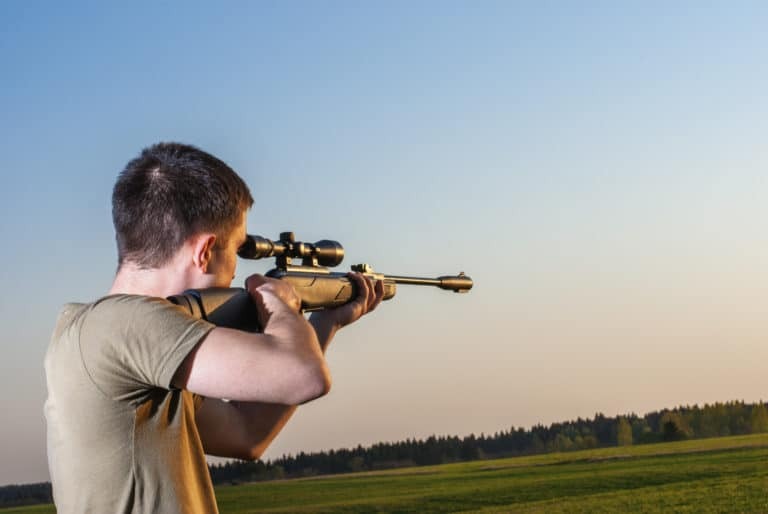 That’s why we researched countless products, addressing their pros and cons, to come up with five of the best air rifle scopes. 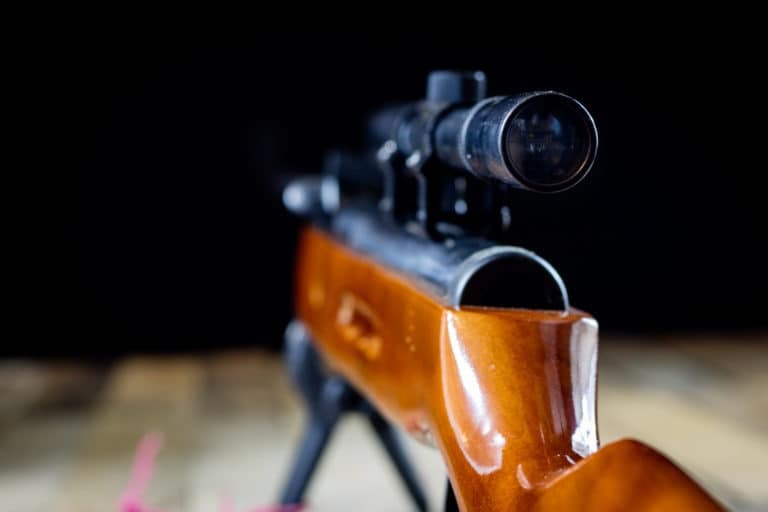 The following provides all the information you need about our top five picks in addition to offering a guide to teach you what to look for in an air rifle scope. It is not only important to find the best air scope rifle, but you should focus on choosing the correct one for your gun and your needs. 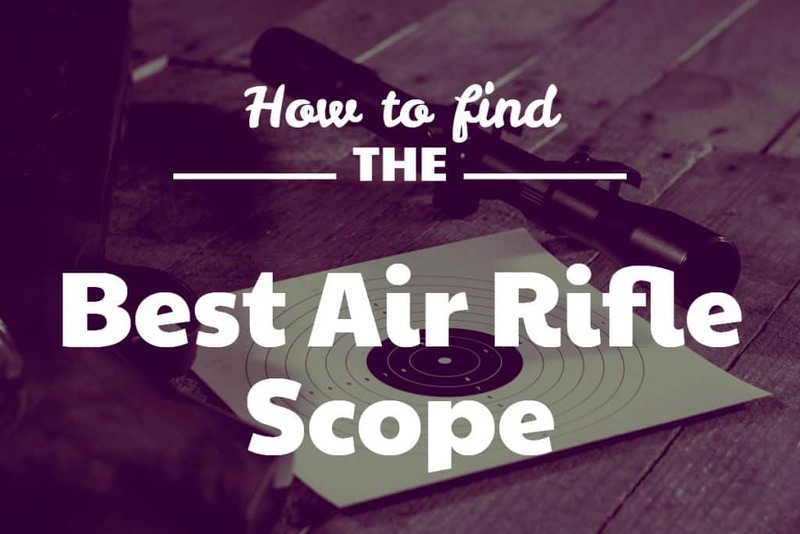 There are two main types of air rifle scopes to choose from: fixed and variable. A fixed scope is one that you cannot adjust as it is set to one magnification. In general, fixed scopes have a lower magnification. You will usually see it denoted by something like 4X32. Though the magnification is not high, a fixed scope does have a rather large field of vision. This makes it ideal for close range shooting at things such as small rodents. They are also more straightforward to use since they require next to no adjusting. With a variable scope, you get a range of ocular magnification that can be adjusted, for example, 3-9X. This is shown as 3-9X32. 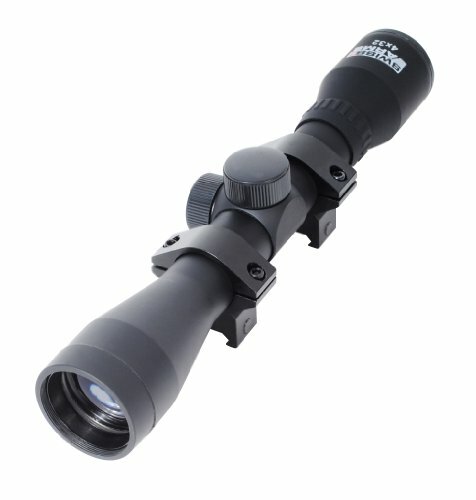 They are useful in the sense that you can get both low magnification and a large field of view for close target shooting, and you can also zoom far enough to handle targets in the distance. If there is any disadvantage to owning this type of scope, it is the fact that it tends to require a good deal of readjustments considering how it is made. Though touched on in the above section, it is beneficial to understand as much as possible about every detail of a scope. When you are looking at the magnification, know that the number translates to how much the target is magnified in comparison to how it looks without a scope. To use previous examples, a 4X magnification indicates that you are seeing the target as though it is four times closer. So, if you are hunting a target that is 100 yards out, with a 4X magnification, it appears as if it is only 25 yards out, allowing you to have better accuracy in your shot. A reticle is an essential component of an air rifle scope as it allows you actually to aim at your target with the scope. Besides, the reticle assists in helping you estimate the wind. Other than the standard crosshair, the reticle comes in different styles with each one designed with a particular use in mind. The most common styles of reticles you will find are fine, thick, dot, and mil-dot. Fine crosshair has one of the best levels of accuracy, which makes this type more ideal for target shooters. It is one of the most simple models though, and it doesn’t tend to work as well in low-light environments. If you are looking for something that offers clarity in low-light situations, you may consider going for the thick crosshair reticle. It is clear to see through in general. However, because of the thickness, it is not the most accurate at all times. Another type seen as the most simplistic approach is the dot reticle. All it features is an enclosed circle that has a dot in the center. Sometimes, some crosshairs will extend through the field of view. Out of all the reticle types, the mil-dot remains the most popular. It features small dots that are along fine lines that head to the center of the hairs, but there are many variations to it as well. It offers a good deal of coverage against dark environments, and at the same time, it doesn’t obscure the smaller targets. No matter what type of reticle you decide to go with, be sure that you understand how to focus your reticle for your eye specifically so that you can get the most use out of it. On a scope, the front lens is known as the objective lens. These lenses hold control over the amount of light that is allowed into the scope. How much light is determined by the diameter of the objective lenses. For instance, with a larger diameter, more light is allowed in. Something to keep in mind is that as the lenses grow in diameter, the overall weight of the scope increases. Furthermore, a larger size may result in additional mounting hardware so that the scope can be placed at a higher level. To offer you such a clear view regardless of the size you choose, lenses are made from glass. Since glass reflects light with such ease, it is imperative that you want a lens that has a coating on it. A handful of different coatings exist such as a single coating, fully coated, multicoated, and fully multicoated. For single coating, it indicates that there is a single layer of coating on at least one piece of the lens. Fully coated lenses feature a single layer coating across all glass surfaces. As for multicoated, one lens surface has multiple coatings. The fully multicoated places those various coatings on every glass surface. No matter which one you choose to go for, be sure that the coating is high in quality so that it can better reduce glare while improving the transmission of light. 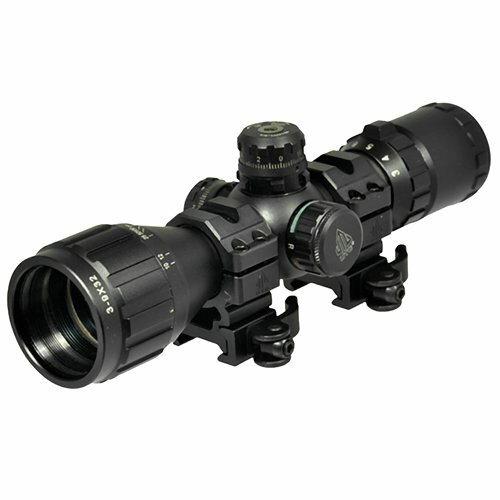 This UTG Compact Scope has ashockproof design, and thanks to its strength platform, it won’t budge whenhit. It has a 30mm tube, and beyond being shockproof, it features rain-proofand fog-proof capabilities. For the reticle, it uses a mil-dot reticle design. There are nine dots in each direction. With that said, you have an estimated 19 aiming points to use. Built into this reticle is Illumination Enhancing (IE) Technology. This allows you to personalize the scope as it offers 36 different color variations. This is beneficial when dealing with light changes. Switching the colors is done with a simple press of a button. As for the lenses, this scope utilizes multicoated emerald. This aids in maximum light transmission, which, in turn, can grant you a higher level of clarity. The turrets are designed well to offer more consistency when it comes to elevation adjustments and windage. Also, the side wheel turret design grants you quick access to adjust to your needs, making it highly user-friendly. This also has locking and re-setting features to add a layer of protection. This comes with additional accessories to make your time using the scope even easier. It includes heavy-duty rings and flip-open lens caps. This Winchester Scope has a 2-7 variable power that is backed by a cross-hair reticle. The tube size is 1″, and this scope features variable magnification so that you have freedom in adjusting it for your needs. Not only is there an adjustable objective, but the knobs allow for quick and straightforward adapting to windage and elevation. The scope is designed to fog-proof to help keep your vision clear and shockproof so that the scope can better accommodate recoil. This ensures that the Winchester Scope will last you a good deal of time before the need arises to replace it. As for seeing out of the scope, it offers crisp images and clear resolution whether you are zooming 10 yards or 200 yards out. It is user-friendly not only in how well you can adjust, but how you can mount it in the first place. The Winchester Scope comes with mounting hardware for you to use, and the thumb screws on the mounts are quick-release. 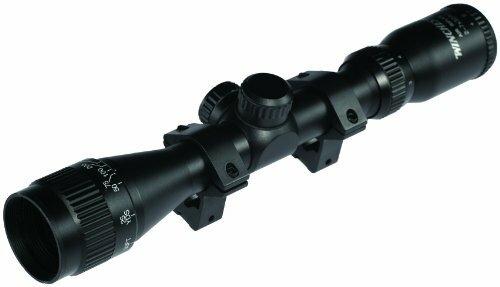 To help with accuracy, the CVLIFE Rifle Scope uses a quality crosshair reticle design. This can also increase the speed of your aiming. The Kellner eyepiece it features grants you an extra field of view as well so you can get high-quality use out of this scope. It is sealed well in addition to being 100% nitrogen-filled. By doing this, the Rifle Scope has better fog-proof and rain-proof abilities so that you can use the scope under various weather conditions with no issues. Further protection is seen in the fact that the lenses have a scratch-resistant coating to keep it safe from oils, dirt, etc. Further proof of the durability of the CVLIFE Rifle Scope is seen in its body. It is made using high-strength aluminum alloy. At under 8″, the scope is easy enough to carry around. 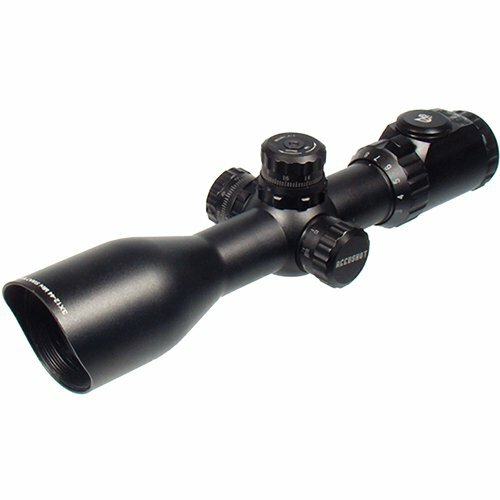 It is overall an excellent choice for an air rifle scope considering its ease of use and fast ability to focus. Also, though some may not appreciate the minimal eye relief, it is sufficient for an air rifle. Another scope seen as the best scope for an air rifle is the UTG BugBuster. With a 1″ tube, this is seen as one of the most efficient UTG products. One of the best features is its locking capabilities. No matter what happens, even if you drop the scope or take a fall while holding the gun, your original aim settings remain locked into place. It is battery-powered, and it comes with two lithium metal batteries that have a long-lasting lifespan. For higher reliability beyond the previously mentioned lock system, the BugBuster Scope is 100% nitrogen-filled and sealed. It fights off rain, fog, and shock so it can last you a great deal of time through heavy use. The resettable turrets are high in quality, and they offer proper adjustment for elevation. This scope achieves parallax-free view from as close to 3 yards to as far out to infinity. All of this is done when using the adjustable wide-angle front objective. For the reticle, the BugBuster Scope uses red and green illumination. This allows a greater diversity, which can be helpful if you are using it in various environments as well as different lighting conditions. The Soft Air Swiss Arms Rifle Scope may feature a slight learning curve if you are not used to using scopes, but it once you understand it, it’s relatively easy to use. 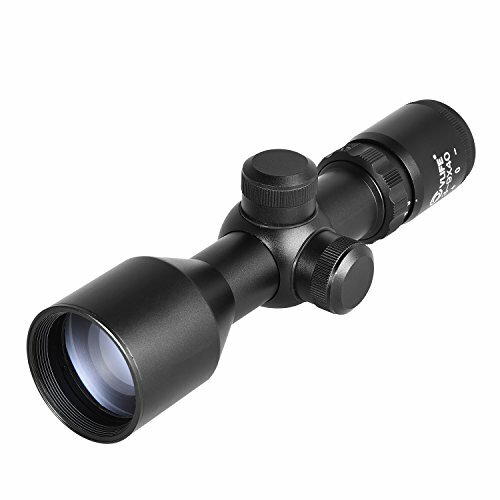 It features no-tool adjustment, and the adjustable objective provides you with up to 4X magnification. The crosshairs are an essential, fine design that offers just enough accuracy. This scope is useful regardless of the altitude or even the terrain you are on all because of how you can adjust according to windage and elevation. 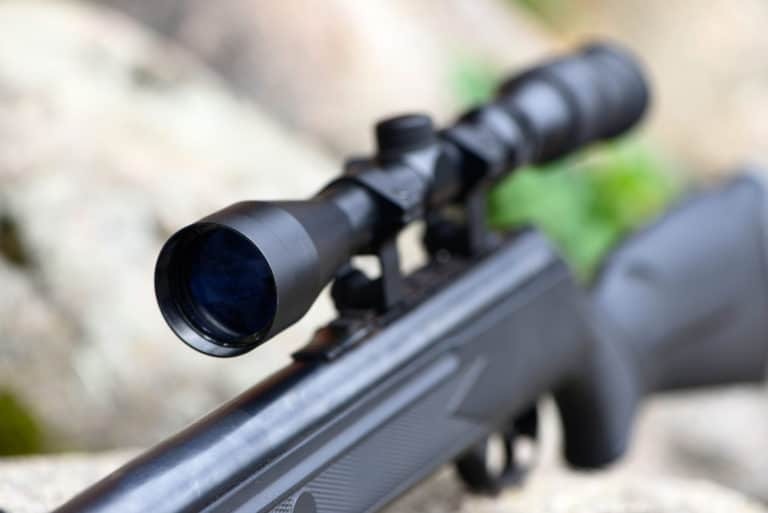 The Swiss Arms Rifle Scope is intended for the majority of Airsoft guns even though many use it for standard rifles as well, and it can see its best use for midrange shooting. The scope comes equipped with a standard rail interface system. For the material, it features a rubber-finish body that holds up well to frequent use. It includes a flip-open lens cover, Weaver rings, and sunshade. After reviewing five of the top-rated air rifle scopes, we conclude that the UTG 3-9X32 BugBuster Scope is the winner amongst the group. For one thing, it is user-friendly so that beginners can make use of it as well as intermediate to advanced shooters. The compact design allows it to fit on most rifles without weighing it down, and it even features the use of the mil-dot reticle, one of the more popular reticle designs. The BugBuster Scope also offers quality adjustment and magnification, and the red and green illumination can help with seeing under various conditions. It is a versatile product that we feel many can adapt to suit their needs. Have any thoughts about our top five products or our number one pick? Feel free to share them with us.